There is perhaps no place in your home that is so much in contact with your body as the floors. The floor not only gives you a sense of touching the strong foundation of your home, but also cools you down with the transmission of cool waves from your feet to the entire body. Visitors to your home may like the idea of superbly coloured walls but may be put off if the floors are not well created. Hence, it is of utmost importance to have floors at your home which add dignity and elegance to your residence. Let us go on a stroll through a neighbourhood and knock on the doors of a few homes to see what kind of flooring they have used for their homes. Who knows, we may get a clue or two about what will suit your home too. 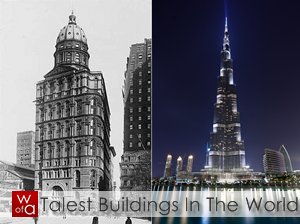 So, are you ready to be amazed by the floors that we are going to show you? Why is it that every time we start with any design, we come across wood? Perhaps, it is because there is nothing that catches the eye of a design enthusiast as wood. Gone are the days when tiles and marbles used to adorn the floors of our homes. These days, people are coming up with amazing concepts for their homes. Having a floor with logs ends is no less a crazy idea. And these are ends of actual wooden logs. This floor design is the winner of the Northwest Forestry Association’s Environmental Craftsmanship Award. Moreover, the floor meets LEED criteria (Leaderships in Energy and Environmental Design) too. So, if you want to add a natural tinge to your floor, now you know what you have to opt for. Floor can be as colourful as your life. 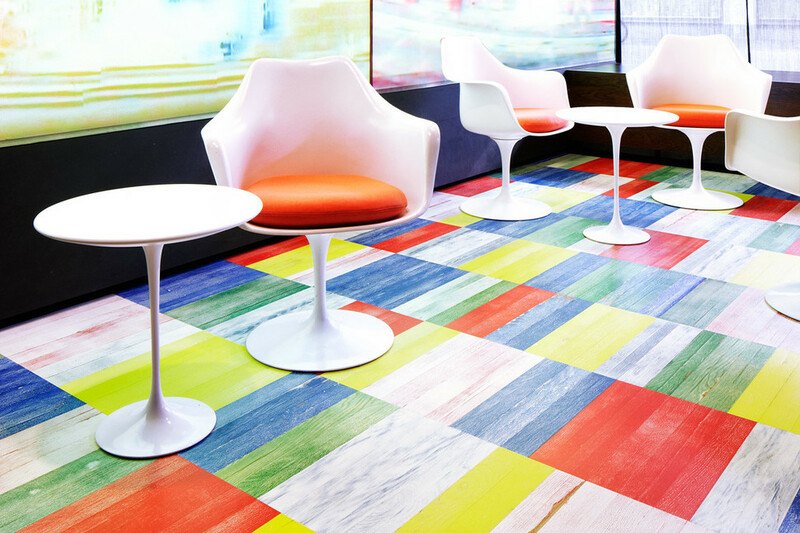 Don’t get us wrong, but colourful floors are the new fashion statement these days. From homes, to offices to even restaurants are coming up with floor designs that incorporate a lot of colour in them. The colours are well chosen. Moreover, the colour combination is so chosen that it has a positive psychological effect on the visitors or the dwellers. 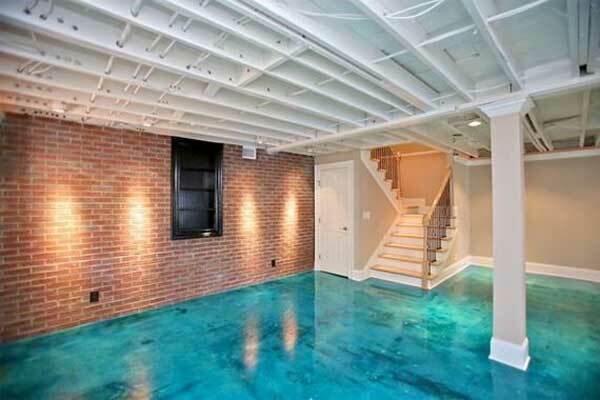 The colour combination must be such that the floor appears welcoming and not repelling. Having a floor with tiles of multiple colours and varied sizes arranged in a particular fashion will certainly make your home look chic and jazzy at the same time. Do you love drinking wine? Do you consider yourself to be a wine connoisseur? If yes, or even if no, you can go for having a floor made of wine boxes. This can prove to be an amazing DIY project for your kids and family and will add a mystical touch to your floor in the home. Collect the wine crates or boxes and then arrange them on the floor. This will not only elevate the floor a bit as compared to other rooms but will also look amazing and will take you straight to Scotland every day and every night. 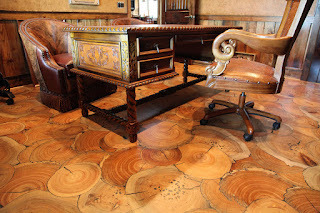 This floor design can prove to be a superb idea for your library, wine cellar or game room. 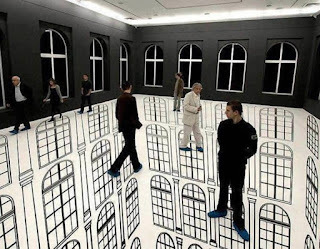 Bring home this whimsical and magical floor and see what your guests say! What if you could bring home wood for your floor along with additional advantages? 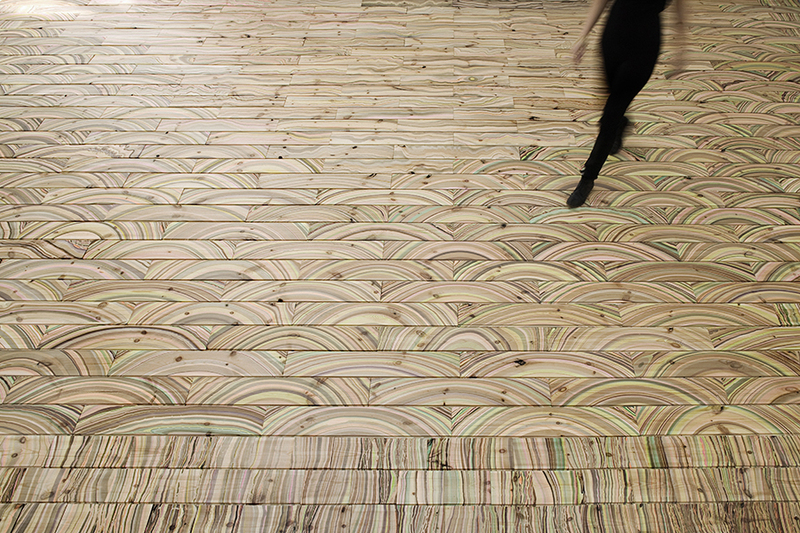 Marbelous Wood Floor, designed by Pernille Snedker Hansen of Snedker Studio is as stunning as complex it is. The artistic floor is created by first floating a water-repellent paint in water. Laying the paper with utmost caution follows this. Then the wooden blocks are placed on the paint, allowing the paint to transform the wood. This floor has a minimalist design and is a perfect fit for homes that have serene interior design. If you love to keep interior decor minimalist, then this floor is a perfect match for your home. Yes, you read it correct. 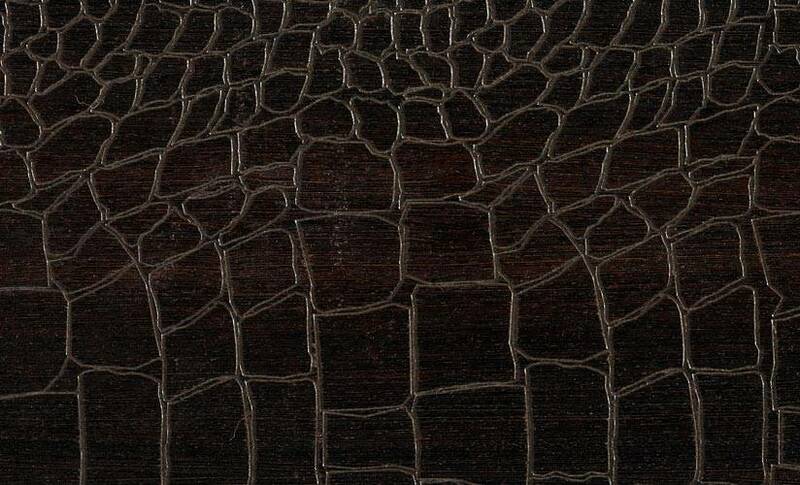 We are talking of crocodile skins here. Why does the floor always need to have wood or marble or tiles? Why can’t we design it like the skin of an animal? Bring home this floor design that will give you goose bumps at first, but then will make you feel like riding a crocodile’s back. 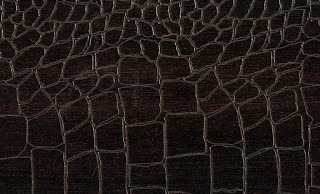 The pitch black coloured floor is composed of circular features of varied sizes that give it an appearance of crocodile’s skin. The floor is actually made of wood and with smooth finish; the floor does not seem to have wood at all. You can also display a banner at your home, saying, “No crocodiles were harmed for my home”. Who knows, you may end up inspiring crocodile hunters to adopt peaceful ways of being close to crocodiles? This one is certainly going to be a favourite with your kids. 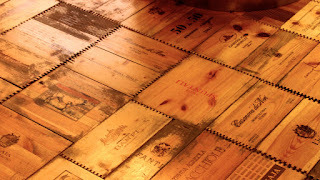 The floor is made of wood and is carved with caricatures. 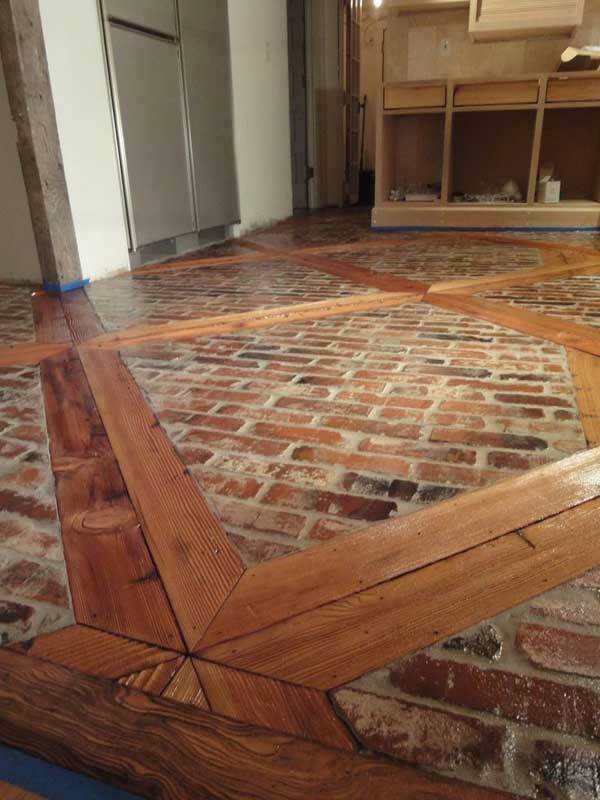 The floor is then oiled in motifs to give it a stunning look. It is one of the concepts of floor design that have not yet been explored much in the world. If you believe yourself to be the pioneer of amazing and modern design in your society, and want to bring forward a new floor concept, then go ahead and champion the etched floor concept. Be a super daddy or super mommy and bring the etched floors to your home and cheer up your kids. When we are talking about kids, why not please them with another game that they love playing? Yes, we are talking real puzzles! 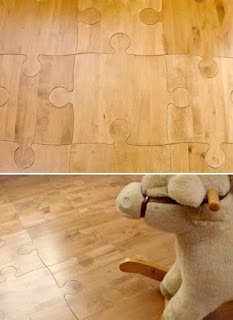 Floors can be given the appearance of jigsaw puzzles. The floor shown in the picture consists of interlocking wooden features that are identical in shape and size and lock with each other to give the floor an appearance of a game that the entire family has played together in the past. This will also give the feeling that your floor is much more secured and sturdy as the different individual parts of the floor are holding to each other firmly. Add a whimsical touch to your home by making a jigsaw out of your floor. Your family is going to love this minimalist yet neat design. This is again a concept that has not spread far and wide yet. Interior designers love these floor concepts, which give an appearance of your room submerged in water. It is for sure that when guests arrive at your home, they will think not only twice but perhaps 10 times before stepping in. Yes, bricks are meant for the wall and not for the floor, traditionally. 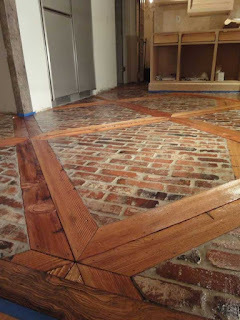 But imagine giving a rustic appearance to your floor by designing it like an unfinished business of masonry. You can be assured of receiving stares from your guests. Be prepared to answer them if they ask you how you created this. 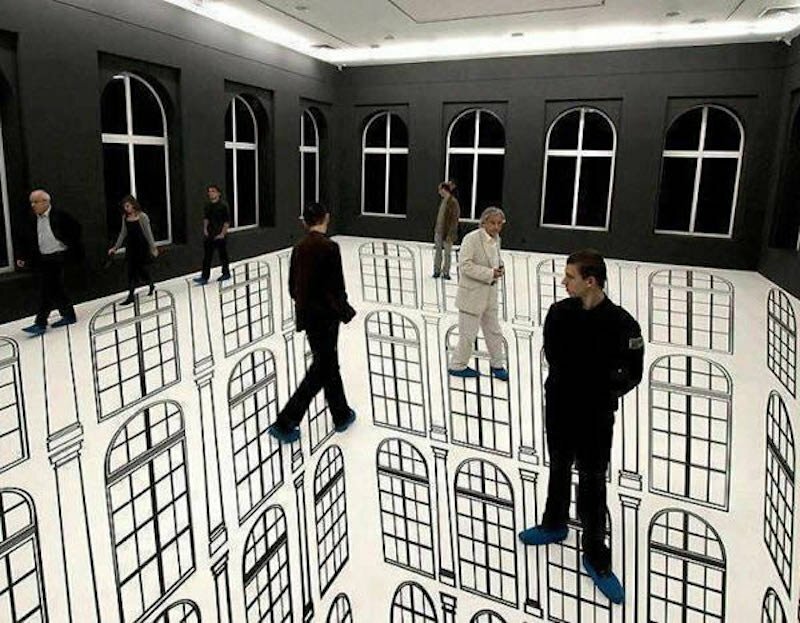 3D floor designs are catching up like a forest fire these days. 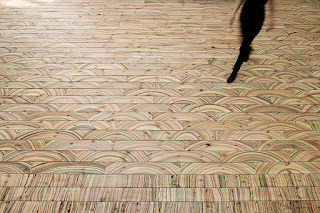 The floors are painted in such a way that from an angle they look like real-world valleys. The 3D designs will terrify you every time you step on them. This is a perfect fit for your game room or even your living room, where you want to give your guests a mystical and terrific feeling. Get ahead of the crowd and bring home some new ideas of floors. You may turn out to be the first one to champion the new and modern designs.